A lot about the modern automobile would be unrecognizable to a mechanic from the 1970s. We take it all for granted now, but there have been so many technical advances and electronics added to the core components of our vehicles. This has been almost universally positive. Minor bugs and glitches can make for small annoyances when repairs are needed, but these are few and far between for the best quality models from the top car manufacturers. The reason we take it all for granted is because a lot of it goes unseen. Many advancements are just updates to the older, manual and analog components. Electric-based power steering, for example, didn’t change much in functional terms from prior hydraulic systems. (It has however generally enhanced fuel efficiency.) Power locks and windows are similar: You’re still moving the glass up and down — just with a button instead of a handle. Other new technology, however, is fundamentally altering key aspects of the driving experience. Push to start is one example. 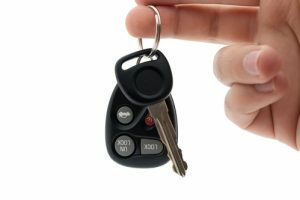 Having, using, and — most of all — carrying around car keys has always gone hand and hand with owning a vehicle. So while no longer having a traditional key jingling in your pocket isn’t altogether different (the engine still ignites and the car still begins running), it sure does feel different. Volvo recently took this a step further by experimenting with a digital key that can be used, shared and accessed through your smartphone. Unlike the push-button ignition, this truly is a much, much different way of operating a vehicle. If this becomes widespread, it will make your phone an even more vital aspect of your life than it already is. You will need it to drive, and thus you will want to ensure that your phone is reliable in all situations. Especially in an emergency, the device in your pocket could become — literally — your life line. For this reason it is critical to have a durable, water-resistant phone like the Samsung Galaxy S7 that can function in all conditions. This move by Volvo is likely just the first in a series of car-managing apps. As concepts like the Internet of Things help society evolve event further in this direction, it is likely that the phone and the car will become even more intertwined than they already are. There are plenty of examples even today. For many, smartphones have already replaced navigation tools. Why pay for an additional gadget when Google maps or other free apps can get you from point A to point B with essentially the same proficiency? Spotify is widely used, among other streaming music apps, sent through their car stereo via Bluetooth, rather than the radio. And car-sharing services like Zipcar requires a smartphone to manage the entire process. More and more, we’re moving toward a future out of The Jetsons. Eventually, we’ll probably use our phones to tell our driverless cars to take us where we want to go and then use those same phones to set an alarm as we drift off to sleep during a dull commute while a robot takes the wheel. But for now, it sounds like we will soon have key apps. It’s hard to tell yet whether this will become ubiquitous. Regardless, the very concept of starting a car with a phone is a big turn on for the tech world.